Thank you for visiting the piano tutorial section of this website. After you have learned to locate the piano keys, play piano scales and understand the basics of piano theory, then it is time for you to get active and start putting what you have learnt into action. If you are about to start your first piano lesson, then the following topics will be of great help to you. Consider participating in these lessons first, and then return to this page. This section of the website is designed to take beginners and intermediate piano students to the next level. I am sure that some advanced piano students will benefit too. The popular saying “Practice makes you perfect” is the motto I will use for this section of the website and so, the main goal here is to provide students with as much materials, so that they can practice as often as possible at their own convenient time. As this website goes through the different stages of development, you will realize that new lessons and ideas will be added from time to time. It is very important that you keep up to date with us as often as possible. 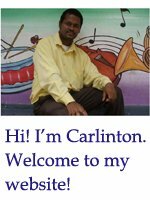 I am sure that you can find several piano tutorials on Youtube.com or other piano lesson websites. But the resources needed to make you a better piano player can never be too much, so feel free to get involve. ....And guest what?... The tutorials are for free. The tutorials that are prepared for you on this website are easy to follow; you will hardly need a piano tutor to guide you when using them. The tutorials are selected from a number of different genres of music including gospel, jazz, blues, reggae, souls and so on. There are two main formats of tutorials that are now available on this website. Click on any link below to start your first tutorial. Click here to leave the piano tutorial page and return to the home page!